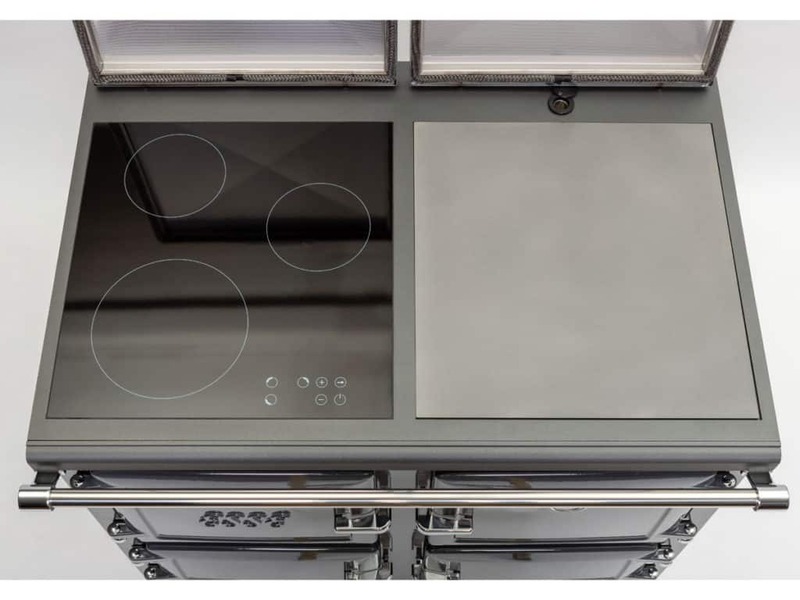 ESSE’s exciting new 990 ELX cooker offers double the hob space to allow creative cooks to extend their cooking into the next dimension. These additions to an already proven product create the perfect partnership for enthusiastic cooks who love entertaining guests for dinner. The 990 cooker will boil, braise, simmer, roast, fry, griddle and sear simultaneously. The new three-zone induction hob offers fingertip control for precision cooking while the large steel plancha-style hotplate will griddle meat, vegetables or fish direct, or, if additional hob space is needed, will comfortably accommodate a multitude of pans. The 990 ELX range cooker also keeps cleaning to a minimum thanks to the intelligently engineered new hotplate covers which double up as splashbacks. 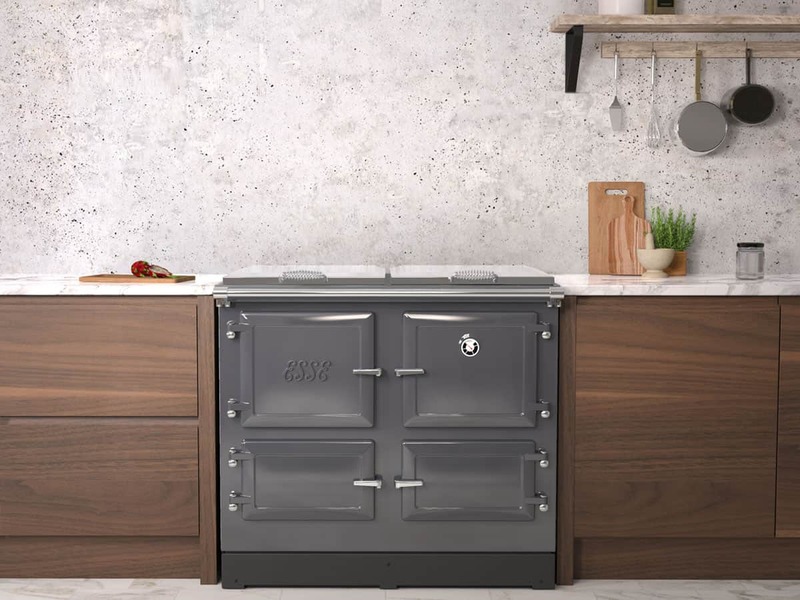 In line with the rest of ESSE’s electric product range, the 990 ELX range cooker offers rapid heat-up times (less than 20 minutes from Slumber mode to 200˚C) and a programmable timer for the ultimate in efficiency and control. 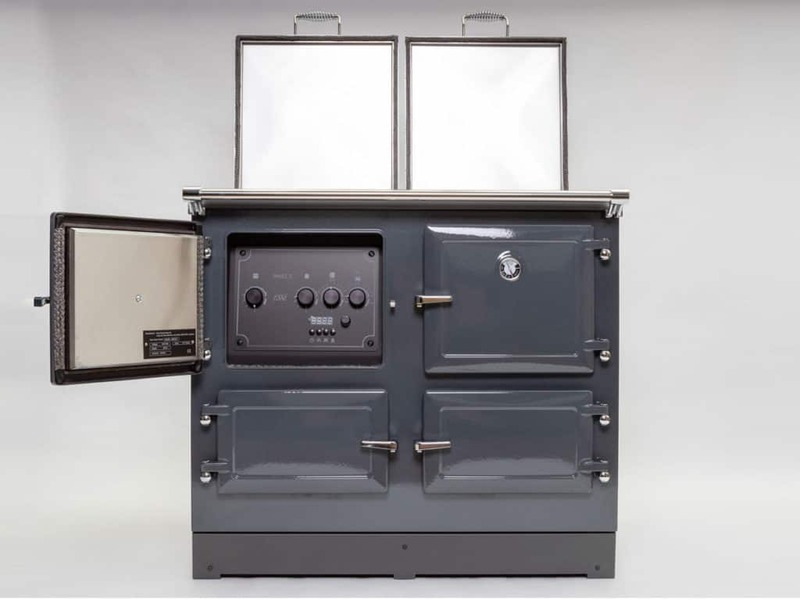 In day-to-day use, the 990 is reassuringly fuel-efficient thanks to the performance of ESSE’s patented oven’s and power share technology – which directs energy only where it’s needed. It can be installed in any kitchen with a double plug socket and because it does not require a chimney or flue – the 990 ELX can be positioned almost anywhere – including as a free-standing ‘island’ unit. Find out more please do not hesitate to contact us.